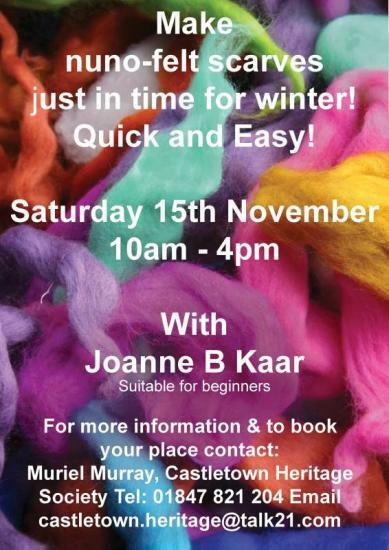 Book Early for Joanne B Kaar's course. This one is suitable for beginners and they are always popular. Be inspired! Sat 17th + Sun 18th May Join us for a weekend of creativity in the newly refurbished Castlehill Centre. If you are interested in doing your own thing, sharing ideas, or simply being inspired by this wonderful harbour location, get in touch as numbers are limited.